Unmapped Country: Form Your Success? 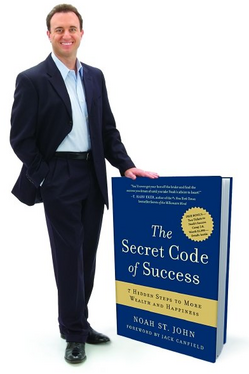 The library didn't have Deepak Chopra's Seven Spiritual Laws of Success, so I browsed the shelf where it would have been and came across my latest instruction manual, The Secret Code of Success: 7 Hidden Steps to More Wealth and Happiness, by Noah St. John. It's one I hadn't heard of, but I took it anyway. The cover was new and shiny, and it brought me into the 21st Century. Overall, let me say, it's a very easy read. Lots of short sentences. Colloquialisms. Bolded words. Much space around paragraphs, and a few charts with titles like The Scales of Success and The Iceberg of Consciousness. The first third of the book explains why typical "shelf-help" books fail us, my tens of readers. They tell us to set a goal, to think positively, to say affirmations, to act on our goals, and if we fail, to try again. All these steps, according to St.John, are behavior-based, and are therefore doomed. The problem? While we may consciously want to change something, our subconscious is much harder to convince. Our subconscious holds us back, because it contains all kinds of fears or reasons or beliefs we are unaware of and that we must change. We say all these affirmations, a la Jack Handy. 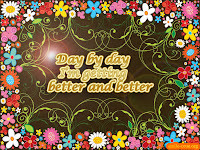 Every day in every way I'm getting better and better. I'm pretty, I'm talented, and gosh darn it, people like me. You know the drill. 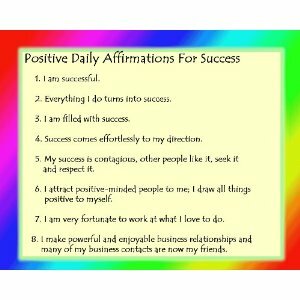 An entire industry (self help) is built on affirmations, or positive thinking. Or superstition. Whatever you want to call it. Thousands of bookshelves can't be wrong, can they? 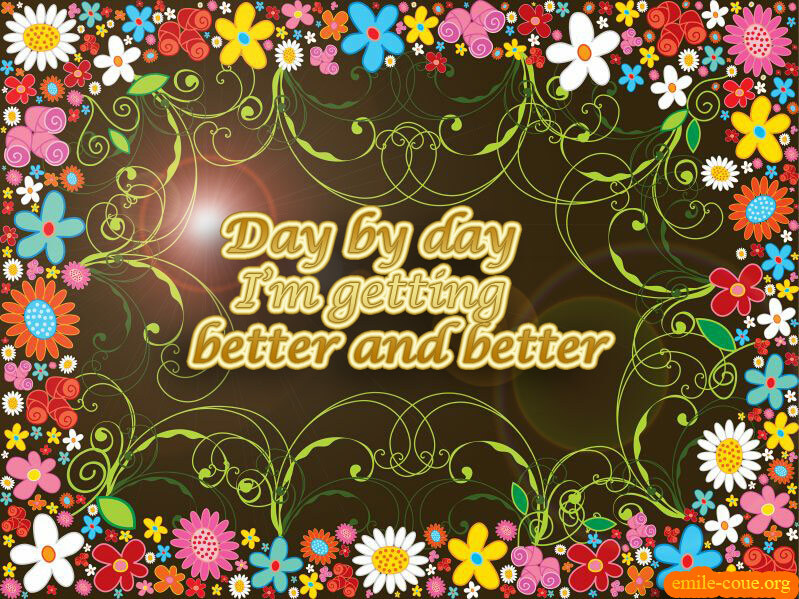 Louise Hay wrong? I'm okay, you're okay, wrong? Okay. Fine. I'll buy it. My subconscious wants me to fail, so I fail. Maybe. So what do I do? Noah St. John will tell me. After many fluffy pages, we get to his 7 Hidden Steps. There's a nice pyramid graphic to illustrate them. (Allusion to Steven Covey, The Seven Habits of Highly Effective People, but I'll get to that another day.) I am ready. But first, I have to do a bunch of exercises. Filling in the blank stuff, with easy questions to answer like, what 5 things hold you back? Or, what is your deepest wish? If this stuff were easy to figure out, I'd have sussed it already. And I've had a lot of therapy. But never mind. Skip ahead to the first step. Ready? Here it is: Afformations. Yes, you read it right. Not affirmations, afformations. afFORMations. These are totally unlike affirmations. Really. Because affirmations are statements, and afformations are QUESTIONS. Oh. Okay. And St.John drops in the Latin roots of both words to point out the difference. Affirmation derives from affirmare, to make firm; while afformation is from afformare, to form. Get it? To form. So he says the idea is to form positive questions based on what you want. The question is supposed to assume you have what you want. For example, How is it that I am so happy? Or, Why am I so rich? Or just look up at that list of affirmations above and turn them into questions: Why am I so successful? Why does everything I do turn successful? Easy-peasy. Throwing in the Buddhism principle of watering the seeds of intentionality (where, oh where have I come across this before? Why, in every book on success I've read, as well as in lots of excellent Zencasts), he says you have to ask positive questions to plant those positive seeds in your unconscious. I hate to break it to anyone who's reading Noah St. John as a first foray into the world of success self help, but this sounds an awful lot like pretty much everything I've read so far, except Benjamin Franklin. It did make for excellent dinner conversation last weekend. A glass of wine each, and the husband and I were compiling our Afformations as quick as we could think of them. Why was it so easy for me to hit number one on the New York Times Bestseller List? How is it that I am having lunch with Tina Fey tomorrow? Why am I appearing on Jon Stewart next week? Why am I eating dinner dressed in thousand dollar bills? Why am I surrounded by vats of money? Why am I so successful I am bathing in vats of money? Why did I choose to scrub myself with thousand dollar bills instead of saving some of them for my children's college funds? Maybe I'd better read Noah St. John's step two. Am I the only one getting subliminal advertising from my afformations?